Guide: Make the most of your consultation. If you need a referral to a pre-screened lawyer in your area, call Attorney Search Network at (800) 215-1190 or fill out a find a lawyer form online. Once you have been referred to an Attorney and have your consultation scheduled, use this guide to make your first meeting and selection of your lawyer as successful as possible. The Lawyer will determine if they are able and are willing to take your case. The Lawyer will give you a price estimate of the cost of their representation. The Lawyer will tell you about their experience and practice. Once these three core issues are established, both you and the lawyer will have enough information to decide if you want to work together on your legal issue. Not all lawyers work with every type of law. Even within areas of law, there may be types of cases a lawyer will not take. Lawyers may not take your case based on the type of case, elements of the case, conflicting courts schedules, available calendar space, representation conflicts, personal choice or court jurisdiction. If a lawyer does not accept your case, do not be offended, contact Attorney Search Network and we will try to refer you to another attorney. The cost of representation can vary depending on what type of case. There are cases in which you hire the lawyer to be your legal advocate / legal representative, these are typically called "Non-Contingency" cases. Non-Contingency case will require you to hire the attorney. "Contingency" cases are cases in which the lawyer does not charge upfront for their time and/or expenses of the case. They are paid a portion of the settlement at the end of the case. In order for your lawyer to understand if they can or will take your case and/or how much the fee will be, you need to communicate your case as concisely, simply and completely as possible. See step 3. There is general misunderstanding about legal consultations. Here is a list of things they are NOT. Most lawyers will not give case or situational advise during the consultation. You are going to gain a lot of information during your consultation. The more prepared you are the more information you will obtain during your consultation. However, if you come unprepared it will be hard for your lawyer to provide as much value as they can during your consultation. If you need large volumes of paper work reviewed, a complex issue evaluated or information requiring research, it is unrealistic to gain this knowledge during your first consultation. Most likely you will need to hire the attorney do this work for you. In this case use the consultation as an opportunity to interview the lawyer and determine if you want to retain thier services. This is a highly critical step in selecting legal representation. 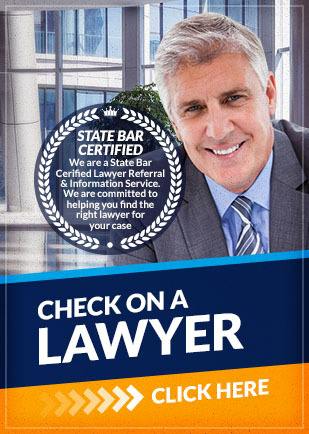 You are already off to a good start by using a Lawyer Referral Service, you are assured that the lawyer is in good standing with the California State Bar Association, carries malpractice insurance and has been in practice for 5 or more years. In the consultation, it is your responsibly to communicate your legal issue to the best of your ability. The better this goes, the more likely the lawyer will understand your issue and the more accurate their fee estimate will be. There are a few steps to having a successful consultation. Be prepared. Have all your documents, dates, amounts, charges, times, fees, fines, etc organized and with you. Be readh when the lawyer asks you a question. We recommend you use one of our lawyer consultation guides. Keep in mind, the lawyer may not review your paperwork, but you should have it in case it is needed. Be honest. It is important to be honest and speak candidly with your lawyer, so your lawyer can help you in the best possible way. Don't worry - the information you disclose to your lawyer is protected by the attorney-client privilege. A good lawyer will be honest with you in return by giving you directions and informing you of your options. Answer the lawyer's questions. Lawyers deal with legal issues all the time and will ask specific questions to obtain information. Sometimes they may interrupt, but do not be offended, they are only trying to guide you. Be respectful of the lawyers time. If you are disorganized or late your consultation will not be as valuable. If you are going to be late or miss you consultation, call the attorney's office in advance. You need help reaching them call Attorney Search Network. When you have decided to hire a lawyer for your case, your lawyer should give you a written retainer or fee agreement. Read this agreement carefully before you sign, ask your lawyer questions if there is something you do not understand. The retainer agreement should list the expected legal work and the legal fees. After you have signed the retainer agreement, ask for a copy to keep for your records. Your lawyer is responsible for providing objective legal advice and ensuring that your legal rights are protected. Your lawyer should be ethical, have knowledge of the law, communicate with you effectively, keep your case confidential and remain loyal to you as their client. Your lawyer should keep you posted on the status of your case. Most of all, your lawyer should work towards your best interests.